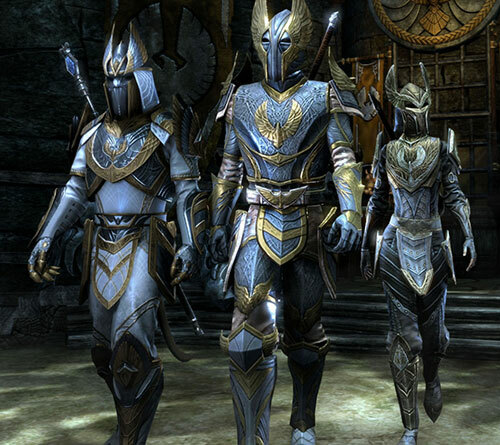 The three Alliances in ESO each have their own unique style of armor and weapons. If you are lucky you can collect the Alliance Motifs in chests throughout Cyrodiil and Imperial City. 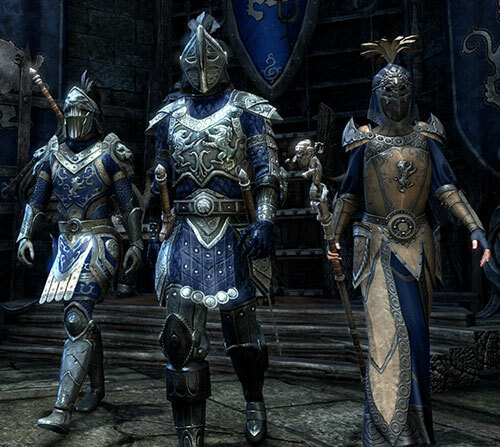 These styles first arrived with the Imperial City. All of the Tel Var Stones Sets come in your own Alliance Style. 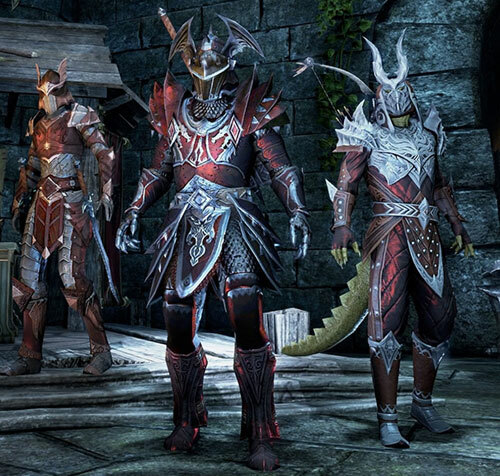 The Alliance Motifs arrive in Update 9 (Thieves Guild) and are available to all players in chests throughout Cyrodiil and Imperial City. This will be the first time that players will be able to craft items of gear in the Alliance styles. 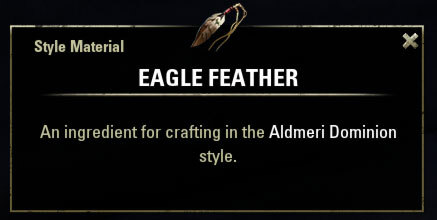 The style item for Aldmeri Dominion is Eagle Feather and can be purchased from Siege Merchants for 10,000AP or from Tel Var Merchants for 1,000 Tel Var Stones. 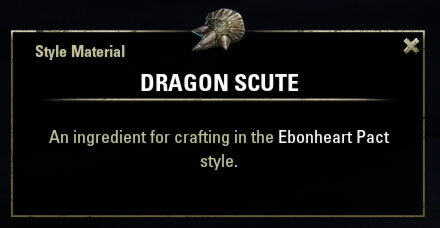 The style item is Dragon Scute and can be purchased from Siege Merchants for 10,000AP or from Tel Var Merchants for 1,000 Tel Var Stones. 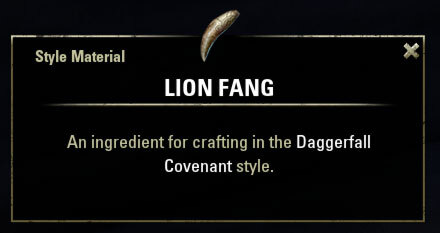 The style item is Lion Fang and can be purchased from Siege Merchants for 10,000AP or from Tel Var Merchants for 1,000 Tel Var Stones. Do you have to create a character for each alliance to the other alliance motifs? I am just asking because I play Daggerfall and can only find the DC motifs. DC characters will only find DC Imperial City motif drops in chests and drops. AD characters will only find AD Imperial City motif drops in chests and drops. EP characters will only find AD Imperial City motif drops in chests and drops. Tel Var Stones, however, can be found on one character, placed in the bank, and then used on another character. The Imperial City Faction Specific Motifs are also available at some Guild Traders, sold by other players ( though they’re crazy expensive). Do these motifs have a level requirement? It requires lvl 50 in any of the metalworking, tailoring, or woodworking skill trees.